If you're a baking purist, you may want to skip this post and click on over to yesterday's post on Cranberry Almond Bars. ...use cold butter!!! I take it straight from the fridge, slice it up and beat it with the sugar. Do you break any rules in the kitchen? I won't tell!!! 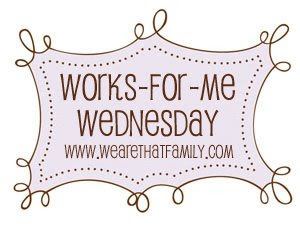 Please visit We Are THAT Family for additional WFMW tips and more rebellious activity! Bake at 350's WFMW archives are here. I'm telling Martha! Who knew that cold butter would mix up with the sugar well enough to hold together! I am SO going to try that, should save me at least an hour! I'll have to give that a try - I feel like my dough always goes down the toilet when I chill it! LOL Awesome! I dont know if Im hungry or what but your cookie dough looks really good unbaked. 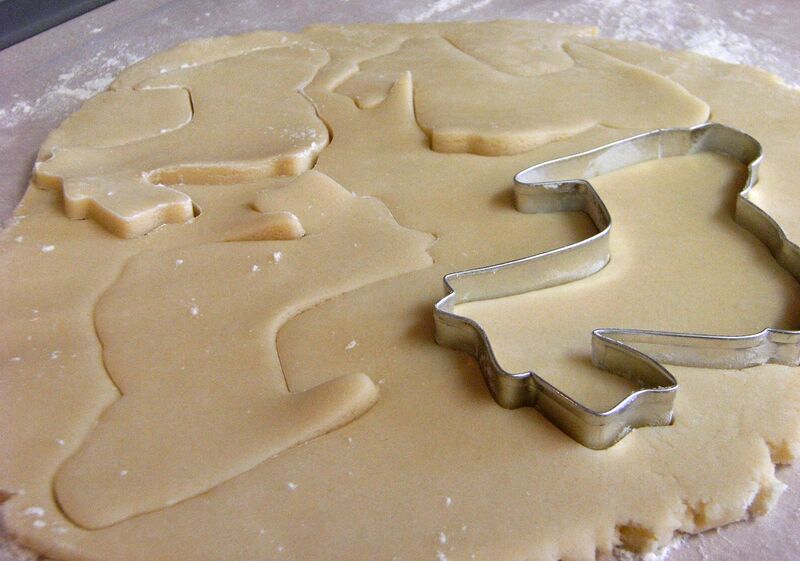 I don't chill my dough, however, I chill the shaped cookie before lifting it off the large cookie board. This helps retain the shape 100%. I use salted butter, too!!! (I giggle whenever I am watching Everyday Cooking/Baking and they clarify that you should use "unsalted" butter)! But I do chill, maybe I'll have to live on the edge and not chill the next batch!!! I don't chill my dough, either. I'm usually in the mood to make the cookies, so I do. I used to use salted butter for baking all the time....GASP. I now buy unsalted, but the stores here aren't putting it on sale this holiday season. So I threw caution to the wind and bought the salted. Living life on the edge, that's me. 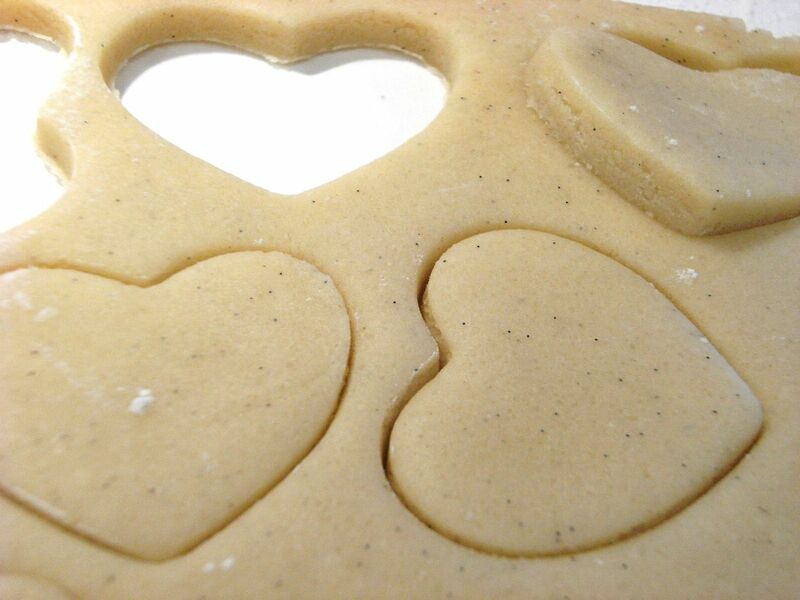 We are baking sugar cookies this week. I'm so trying these no no's! I use salted butter too! And for most baked goods, I use imitation vanilla extract (gasp!). I save the good homemade vanilla extract for frostings and special occasions! Love this! I have done all 3 of those, too. Sometimes I actually prefer the flavor of salted butter in cookies! Thanks! I'm all about breaking a rule or two! We'll have to try this one out! I have used both salted and unsalted butter and honestly I've never noticed a difference. I absolutely am going to have to try you baking no-no's. I'm a sucker for going against the rules! As for me, I use store-bought puff pastry(gasp!! )Don't have the time, patience or energy to make the real stuff at home. Any tricks for rolling out the dough evenly? I'm thinking of making your cranberry recipe for our staff Christmas party. Sounds good! LOL- I use salted butter too! I love the idea of using the cold butter so you don't have to refrigerate!! I too use salted butter and my dough always comes out good. However my butter is softened and I do have to chill my dough. But everyone's dough recipe is different and people have different ways of baking right? I use imitation vanilla except for special occasions. And I pretty much refuse to make my own pie crust. No one believes it's straight from the box (or freezer) though, so I'm sticking with it. And if my grandmother knew I let my 2 year old lick the beaters when I bake (Raw eggs! OMG!) she would completely flip her lid. I've eaten raw dough all my life and never once gotten sick from it, so I'm really not that concerned that he will, either. Go ahead...email the parent police! My baking no-no? I rarely or never sift flower or icing sugar. LOL, not telling...I pinky swear! I do not chill my dough either..!!! I don't mix dry and wet ingredients in separate bowls and then mix them together. I just dump all my ingredients in one bowl then mix. So much easier and one less bowl to wash. I do chill my dough, but I use 1/2 unsalted butter, and 1/2 butter flavor Crisco. This makes the dough a bit sturdier to work with and they don't fall apart one bit after they're baked. Oh, and I never sift flour or powdered sugar either. To this day, I've only done that 2x. I always use imitation vanilla extract. I always have unsalted butter cause my boyfriend has to eat less sodium cause he has high blood pressure. And I always like the natural taste of unsalted butter. I never add salt to my recipes unless if I'm making a bread dough, pizza dough... salt is important for that. I always use cold butter, but I've never tried skipping the chilling step. That would be handy. 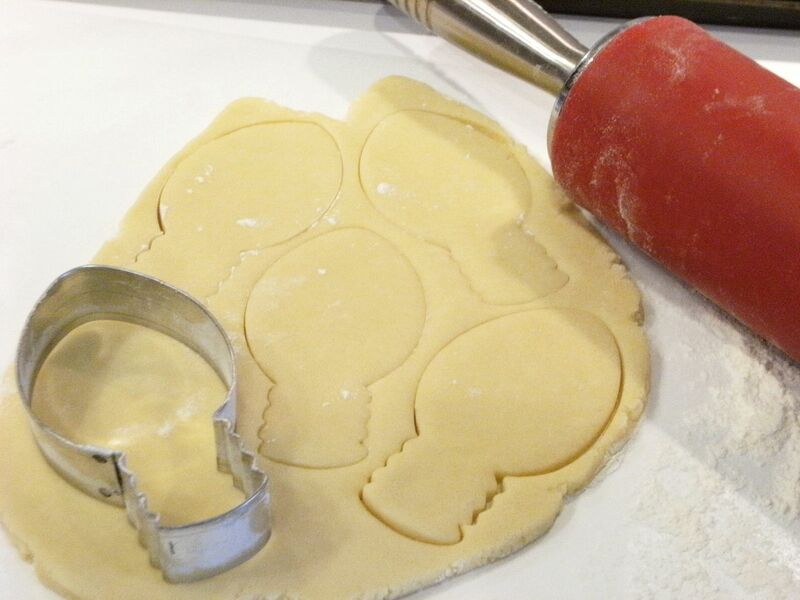 I just finished three batches of cut-out cookies this morning, but next time... I'll give it a try! Great post,I make lots of " I am not supposed to". I do chill my dough, but I use salted butter when I don't have unsalted on hand. I don't use unsalted butter either, and I've never had any complaints. Take that Martha!! i am def going to try your recipe w/ salted butter chilled...i am intimidated by dough & maybe this will help. thanks! Even if your recipe may break a few rules it looks great to me! Plus it's great that you don't have to wait for the dough to chill. I ALWAYS use salted butter! It's what I have on hand! I also use salted butter because the desire for cookies can hit at any time...I also use the imitation vanilla for some things...shhhh! foodpolice.com responded that they will send a team out to investigate within 24 hours. May Martha have mercy on your soul. I was wondering if you used a vanilla bean in the heart shaped cookies. It looks spoty. I was just wondering what caused that? You made me feel so... ADVENTUROUS! Can't wait to break some cookie rules now! oH, and I use salted butter for ALL my baking. I just omit and salt in the recipe. Great tips! I'm going to have to try a couple of them when I start my holiday baking! Thank you for sharing. I always wondered about using unsalted butter only to turn around and add salt to the batter. Thanks for making me feel less crazy.